Integrate Email into Your Marketing Mix! Local SEO Mistakes You May Be Unaware Of! Given that we are experiencing hyper-growth in the number of marketing channels we have at our disposal, it’s only smart to want to find ways in which they can work together for the common good. One very smart way is to integrate your email marketing with the rest of your marketing mix, in particular social media and any content marketing you may be doing. Social media – Social media is your best bet for a wide reach and breadth to your email marketing initiatives. Not only will it afford you the largest possible audience, the ability to share your best work can reap a whirlwind of new subscribers new to your wares. Content marketing – Anywhere you put branded is a terrific place to add a link or an opt-in box to coax more subscribers onto your lists. Think outside the box on this one and challenge yourself to come up with new and innovative ways to get your list links out there! Video marketing – One that many may not have considered, but making videos, even for the express purpose of getting an opt-in are great vehicles for building a list. 7 Quick tips for seamless email integration! Here are 7 easy ways to make this happen! While utilizing some of the channels may see like it would take a lifetime to see results from, you’ll be pleasantly surprised at the speed with which you can build a solid subscriber base. Remember to be generous with your bait you use to get the opt-in. These people are likely over-subscribed already, so be sure to deliver quality and value! Be thorough, and test your opt-in forms, copy and colors as you might any other form of advertising or web page. Also, strive for consistency in your look across the various web properties. Begin to make people familiar with you, and you’ll find more of them coming around! 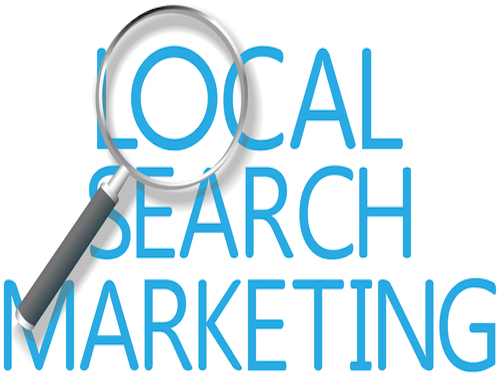 If you have a local business and you aren’t utilizing local SEO for all its worth, then you are likely missing out on a huge chunk of your audience! Likewise, if you are attempting but failing at your SEO efforts because of lack of knowledge to flat out blunders, you also will be pretty lonely hanging out at the ol’ website. So in an effort to avoid that dreaded scenario, let’s identify 7 downright daffy local SEO mistakes you’ll want to avoid at all costs! 7 Local SEO Mistakes to Avoid! Create Separate Listing for Each Location – Not having location-specific listing for each of your locations is a lazy blunder. If you want to rank for your locale, be sure to create listings for it, and don’t compound your error by duplicating the content from other locations. Your Content Marketing Isn't Local – If you opt for the one-content solution fits all approach, you won’t rank as highly for local terms, and, you will fail to win the trust and business of those locals who do find your page. Include local color! Not Optimizing for Mobile – Having a site thats mobile ready can make all the difference! Since now more than 50% of people browse on a mobile device, it’s imperative to be optimized for mobile. Flawed or Non-Existent Keyword Strategy – Not having targeted the correct keywords, or worse, no keywords at all, is a recipe for failure. Shoot for a mix of longer tail, more local in intent keywords, and only target one main keyword per page. You will rank for more than that, but you need to give Google a clear picture of what your pages are about. Whatever you do, do not keyword stuff! If it doesn’t read like you really wrote it, or you can read it with a straight face, you may want to look at that. Not Getting Reviews! – Reputation Marketing is an essential marketing activity that every business needs to be doing right now. But it’s a large mistake not to hit up your most satisfied customers for positive reviews. This will help you in so many ways. Whatever you do, don’t pay for or otherwise generate reviews on your own. They will be found out, and your site won’t see the light of day for some time! Bad NAP Data! – If your NAP data, (name, address, phone) is inconsistent across all your web and social platforms, you will not fare well. It’s easy enough to do; simply make sure your business information is presented in a consistent manner across all of your sites. Not Utilizing Videos for Local Terms – As well as Google ranks YouTube videos, it’s a bonehead play to not create videos utilizing local search terms. Moreover, they are easy to produce and very quick to implement!